Posted on 24th July 2018 at 9:13 am. Whether you’re a start-up or an established business, you’ll find that there are plenty of storage options out there, but which type of storage do you choose? Self-storage or managed storage? If you are thinking about self-storage, just think DIY. You manage the entire process of storing your goods yourself, arranging deliveries to and from storage, stock takes & inventory management. On the other hand, with managed storage, the whole process of storing your stock is managed for you, including, man and van services, pick and packing service, stock takes etc. What is the cost of Managed Storage? With Managed Storage, you pay only for the space that you are using with a pricing model that grows and shrinks based on what you are actually storing. This is unlike self-storage, where you pay for a fixed amount of space whether you use up all the space or not. All in all, you end up paying less for managed storage. If you happen to run or manage a business and need a storage facility to store and keep track your stock, then managed storage is ideal. With managed storage, you will have a bespoke stock management system designed for you. Managed storage offers fulfilment services which include inventory management, picking, packing, transportation etc. With managed storage services, your goods/ stock are stored and managed just the way you want it. With managed storage availability of packing materials empty pallets if goods need to be palletised. Protection of stock is paramount to all business owners. 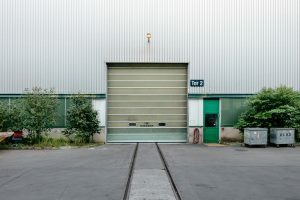 In 2017, a survey conducted by Cushman and Wakefield showed that CCTV monitoring was one of the top features required by users of storage facilities. Almost all storage units these days have CCTV however, not all of them have an additional service of the units being manned. This additional service is provided by managed storage where people are present to ensure your goods are protected. Most self- storage companies have fixed insurance based on price brackets with no flexibility. At Mango Logistics Group, our insurance is based on the value of the goods and tend to be cheaper compared to other storage services. A company that does it all. 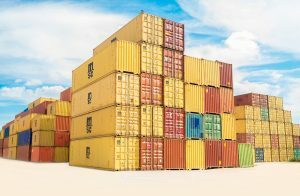 Expert logistical knowledge for moving of goods and buying power over UK overnight and International shipments as well as same day deliveries. Shipping can be arranged for you. Get in touch with us today to find out how we can help. To read more about whether eCommerce businesses should be tracking their deliveries or not, click here.